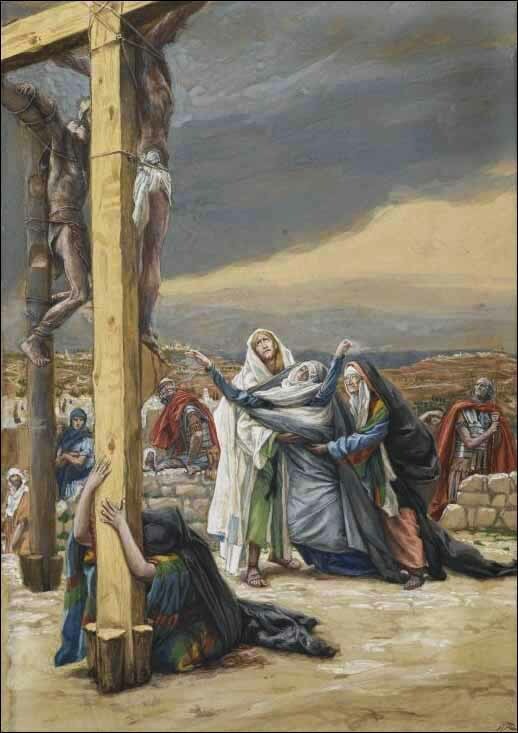 "25 Near the cross of Jesus stood his mother, his mother's sister, Mary the wife of Clopas, and Mary Magdalene. 26 When Jesus saw his mother there, and the disciple whom he loved standing nearby, he said to his mother, 'Dear woman, here is your son,' 27 and to the disciple, 'Here is your mother.' From that time on, this disciple took her into his home."